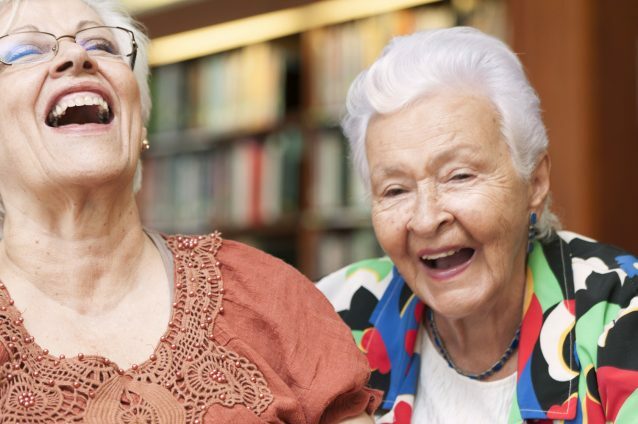 This month at Summerfield Estates in Tigard, Oregon, Life Enrichment Director Anthony Nosen has introduced Therapy Thursdays, an assortment of therapy sessions that have been popular at other Sunshine communities, along with a few new wrinkles. Like many other Sunshine Retirement communities, the staff at Summerfield Estates found that Pet Therapy, Massage/Aroma Therapy, Garden Therapy, and Music Therapy sessions have helped residents stimulate physical and emotional bonds, relax tired muscles, and develop a strong sense of responsibility with ample rewards. But Anthony has taken things a few steps further by initiating Art Therapy and Theater & Laughter Therapy. Garden Therapy is designed to benefit residents who enjoy getting their hands dirty while nurturing flowers and plants, as well as those who don’t. Music Therapy usually involves a certified therapist that brings in interactive music programs for small groups or individuals. It is especially helpful for Memory Care or bed-bound residents. By far the most unique of this month’s activities at Summerfield Estates has been the Theater & Laughter Therapy, which got rolling with a variety of improvisational games and skits. Then the group switched gears to a series of improv scenes and one-liners intended to make each participant laugh for as long as possible. Whatever the physiological explanation, the activity left all who attended in great humor with big broad smiles on their faces. And we can’t think of any better evidence of healing than that.